I saw “Psycho” back in the 1960s, when I was way too young. Apparently, they didn’t check IDs back then. Anyway, I was too young to have an ID. Suffice it to say, after seeing the movie I was scared sleepless, maybe for more than one night. I wasn’t the only one, either. Grown women — and men — stopped taking showers, presumably switching to baths, especially in motels and hotels after “Psycho” came out. 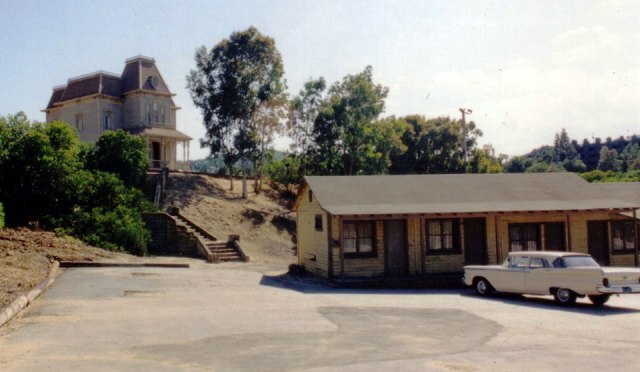 It was a little disappointing to learn that, unlike the classic film, “Bates Motel” wasn’t shot on the Universal Studios lot in Hollywood, but rather the Bates Motel and the Psycho house were recreated outside Vancouver, B.C., where the series was shot. It’s cheaper that way, I guess. In fact, with production of the show’s fifth and final season ended, the motel and house have already been taken down. So have another house and motel at Universal Orlando where several “Psycho sequels” were filmed years ago. The orginals remain as one of the most interesting parts of the Universal Studios Tour, however. The “Jaws” shark and the parting of “The 10 Commandments” sea are just not all that exciting from the tour’s tram. Any who, the current series is hotting up, what with Marion Crane, no less, being introduced in the latest episode. Just in case you don’t know, Marion Crane is the Janet Leigh character who’s life is cut short, so to speak, in the original movie. Pop star Rihanna plays Marion (beautifully), now a notary public in somewhat questionable, modern-day Seattle real estate firm. If he weren’t dead himself, Hitch probably wouldn’t approve of the casting. He preferred to torment blondes like Janet and Tippi Hedren. Unable to get a promotion or even a raise, Marion decides to walk away with a briefcase filled with $400,000 in cash — up from $40,000 in “Psycho” — that just happens to be floating around the office. She really needs the money, too, to pay for her very expensive business suits and the Mazda Miata convertible she drives. We just know she’s headed for the Bates Motel. She makes it there, too. We know this because in the teaser for next week’s episode, we see her having a nice cup of tea with Norman in the motel office. My advice, Marion, after you’ve finished your tea, go straight to bed. Skip the shower. Excellent piece, Terry. I am a huge fan of film history and the creativity of Alfred Hitchcock. I learned some things I didn’t know about recent history of the film – appreciated the update! I’m a fan of the movie and television series too. The author of the book, Robert Bloch, was from the Appleton, Wisconsin area, where I lived for many years. There was a motel off of 41 that looked just like the Bates Motel — same font on the sign and everything (different name). Freaked me out every time I drove by.